"Our wedding photographers were brilliant"
"And they danced the whole night..."
Want us as your wedding photographers? "They go that extra mile to get the best shot"
Looking for an Engagement Shoot? 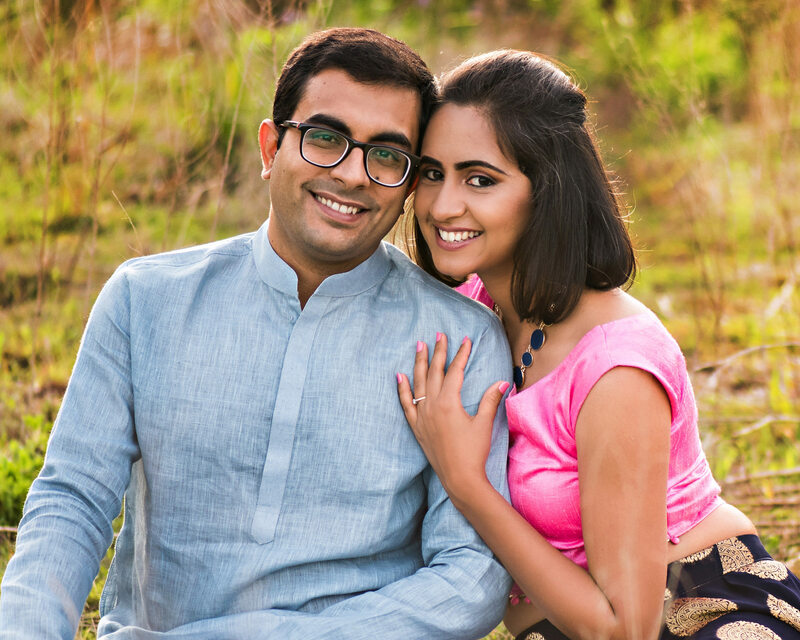 We, Medhavi & Dhaval Kotecha, wife and husband duo, are Jacksonville Wedding Photographers and founders of DKreate Photography. We are based out of Jacksonville Florida and love to travel around the world for our wedding assignments. We are in India during the peak wedding season from November to February for the wedding shoots. Our style of shooting is a mix of documentary and storytelling, where we strive to capture the emotions that unfold during the wedding. We have shot weddings in majestic palaces of Udaipur and Jaipur, serene beaches of Goa and Thailand as well as in metro locations like Mumbai, Pune, Hyderabad, Kolkata, Ahmedabad and Delhi. We have been blessed to shoot weddings in Ponte Vedra, Orlando, New York City, Miami, Cape Cod, Ypsilanti, Columbus, Atlanta and our home, Jacksonville. May it be a small intimate wedding at your farmhouse or a grand big fat wedding at a luxurious destination, do write to us and we would love to be a part of your big day!